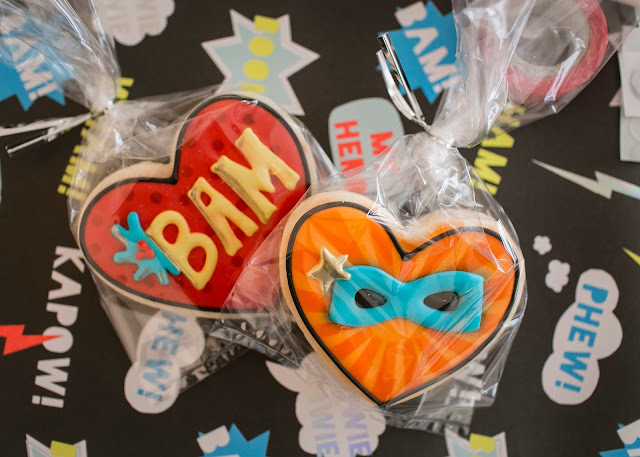 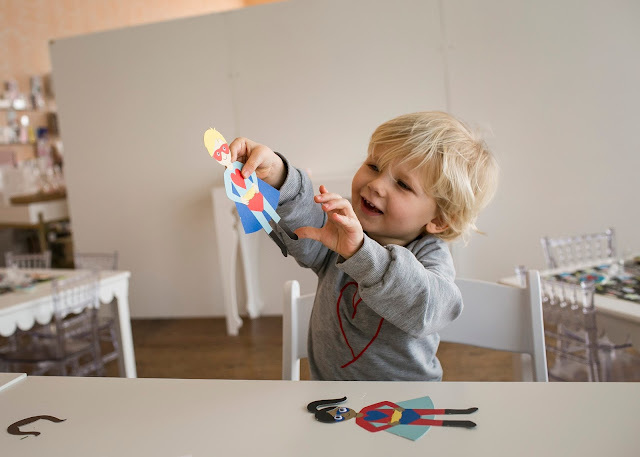 Superheroes, cookies, and valentines make for the perfect date with kids! 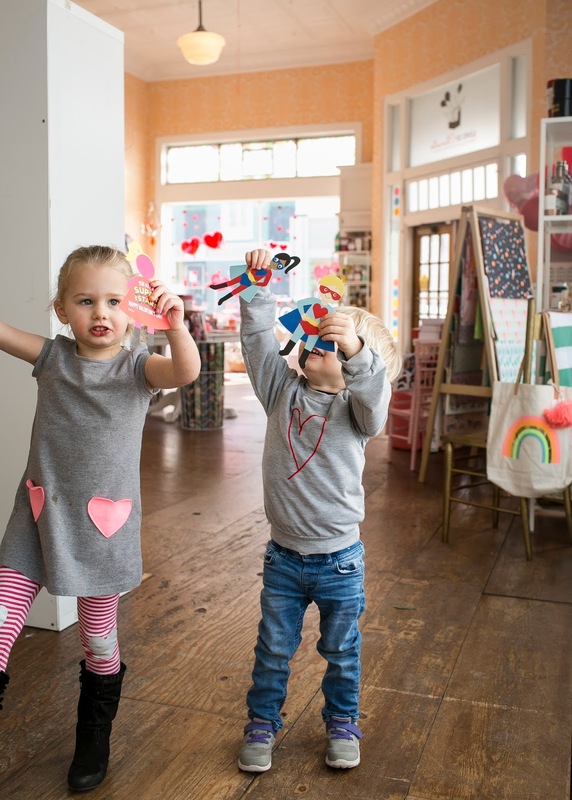 The day before Valentine's Day, we hosted a kids' event as a thank you for a fun Valentine's season. 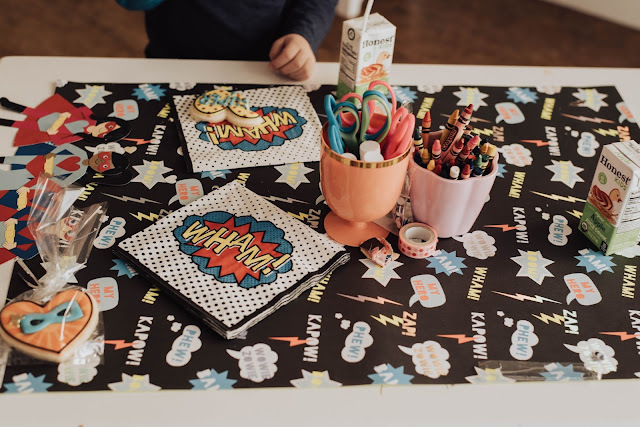 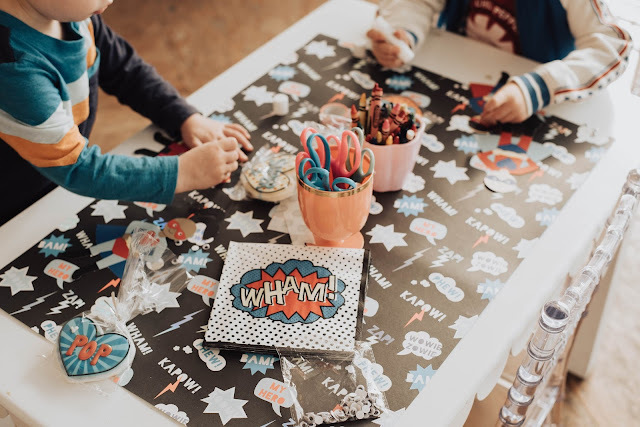 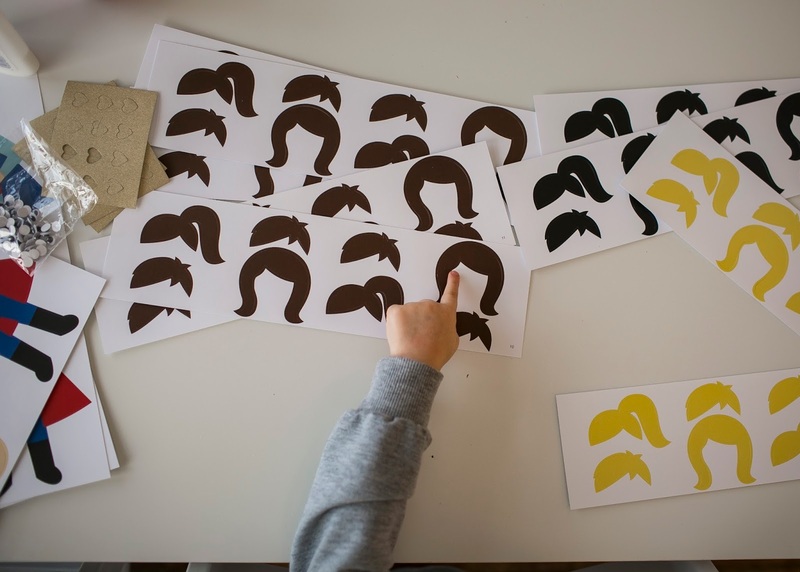 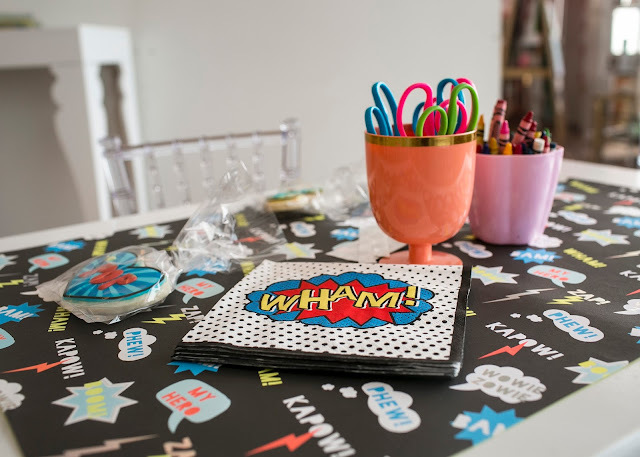 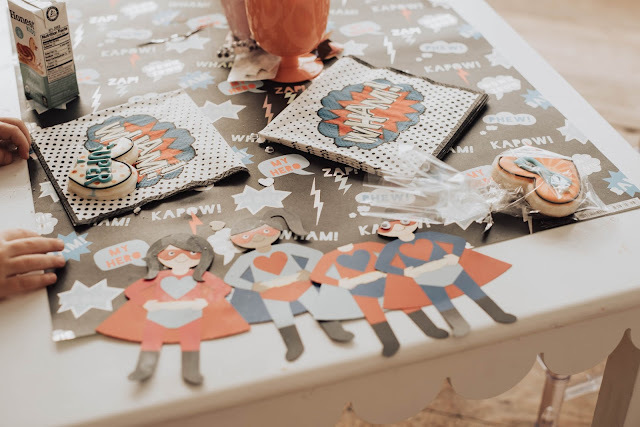 We pulled one of our adorable superhero kits, and setup some tables for them to get crafting. 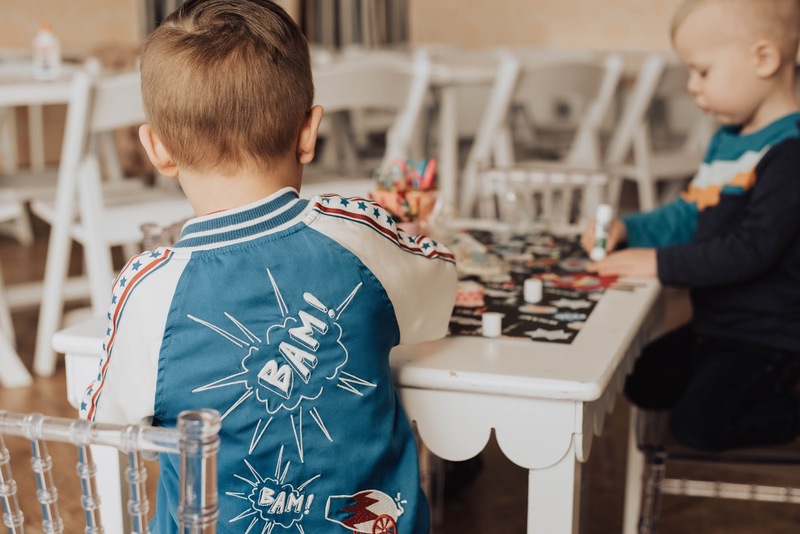 How perfect is this jacket! The kids had fun putting together their superheroes. 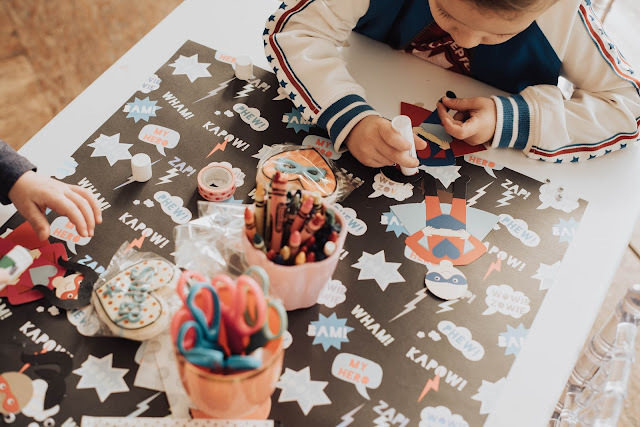 I love letting kids craft away and see how they put things together. This kit was fairly easy, so most could handle putting them together on their own. 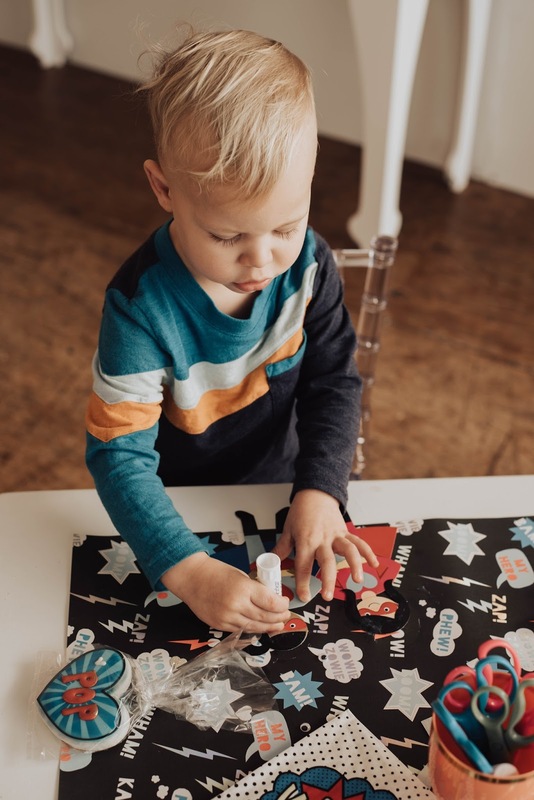 Love a good glue stick craft, especially when it's not at your house! 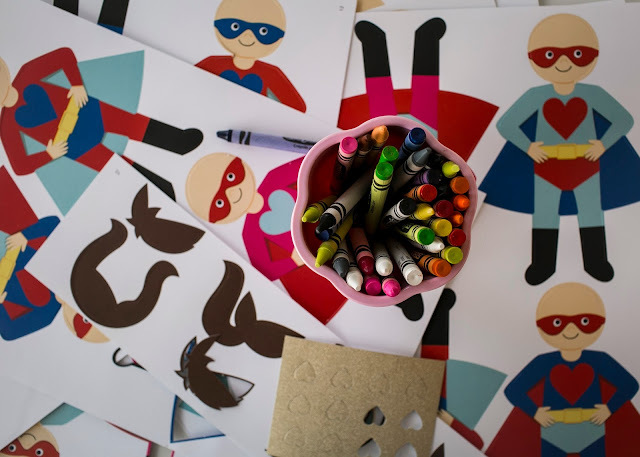 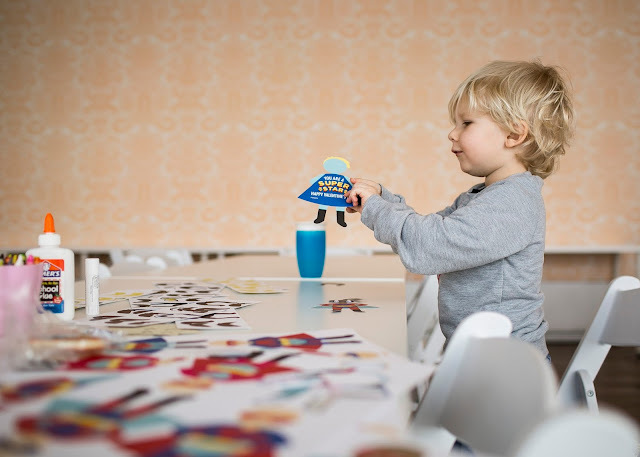 Nothing like a paper superhero to entertain your kids for thirty minutes! 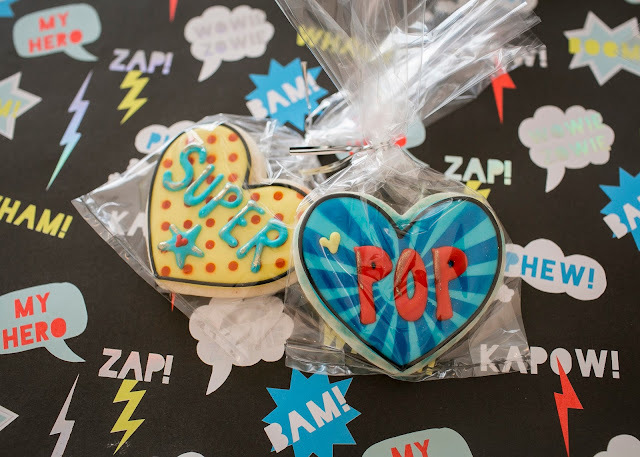 We sweetened the afternoon with cookies from our favorite, Sweet Sugarlicious. She created amazing pop art prints on top of heart cookies to tie in the Valentine aspect. 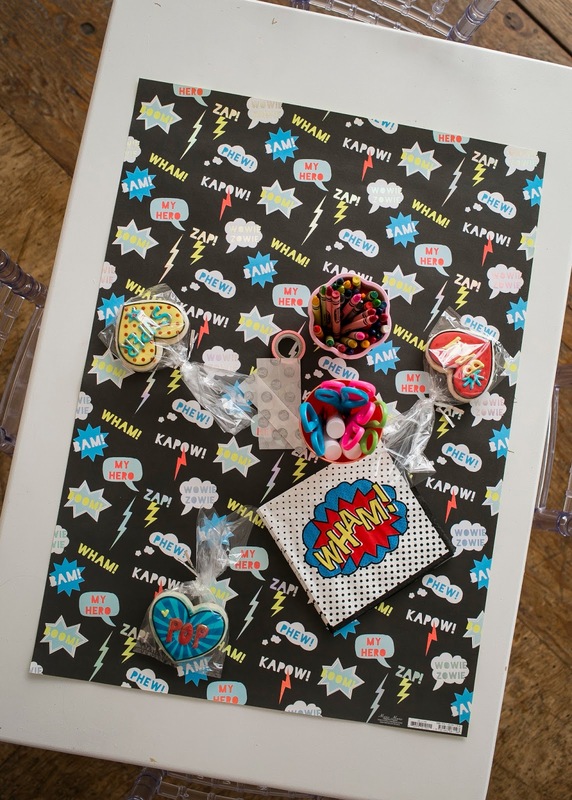 Will someone please let us help you have a superhero party! 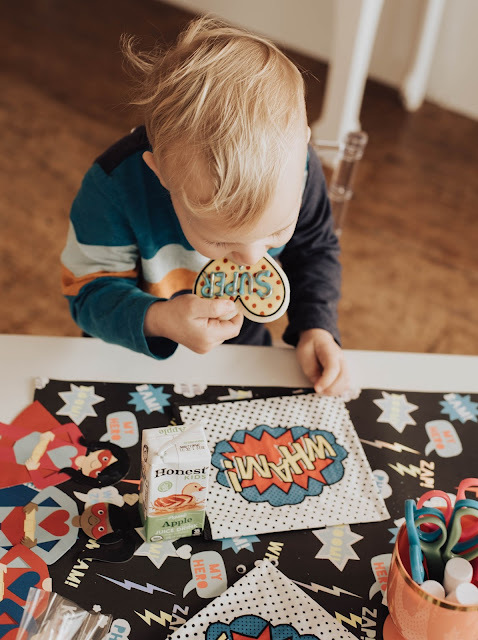 These cookies, with our supplies are such a good combo. 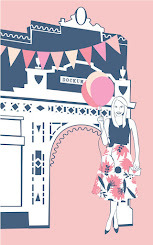 Thank you to everyone that stopped by! 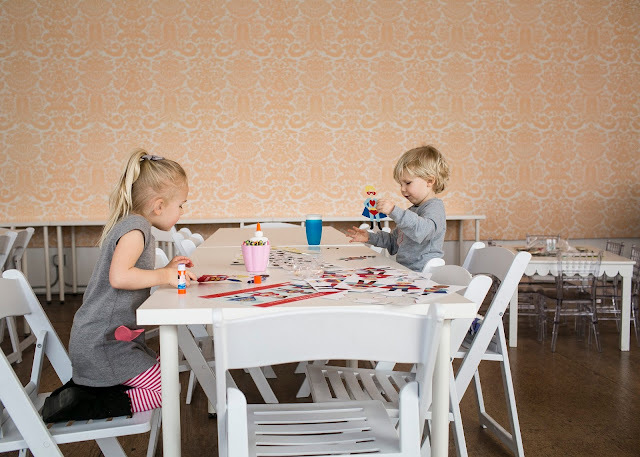 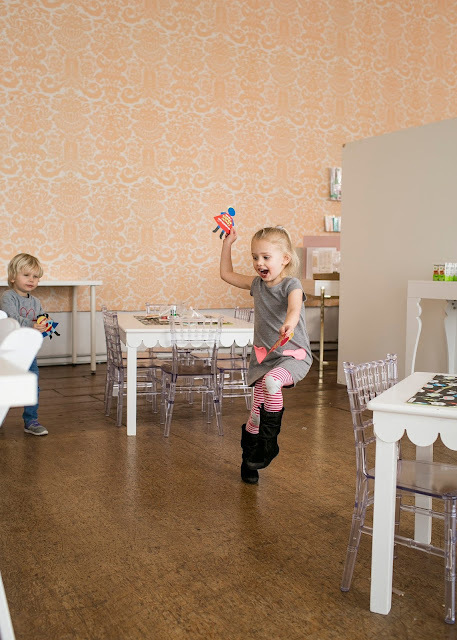 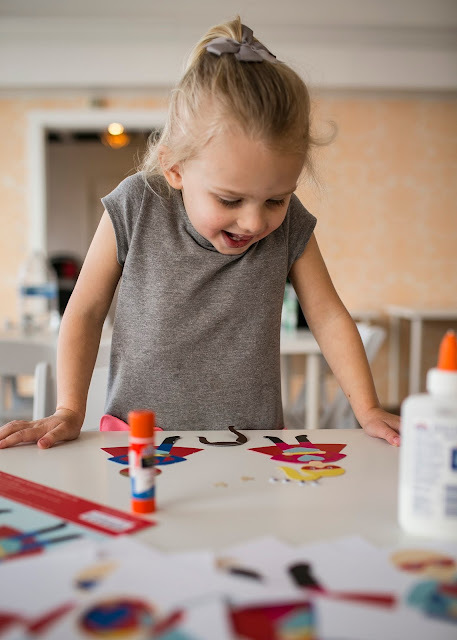 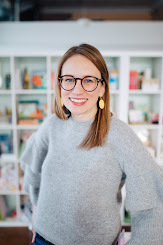 Also, thank you so much to Erin and Ashli for capturing your kids having fun crafting at the shop - love that they had fun!